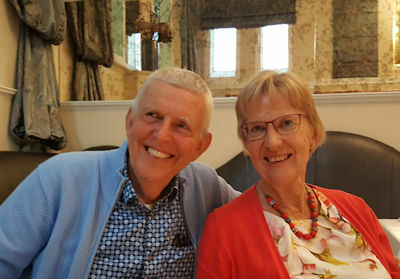 We were treated to a lovely dinner last night in celebration of a new book, Listening to the Labyrinth, that has just arrived on the Labyrinthos bookshelf. Its author, Herman Wind, an engineer and professor from the Netherlands, approached us just over a year ago with some ideas that he felt might bring a new perspective to the study of labyrinth design, asking Jeff to assist with editing as he put his research into print. 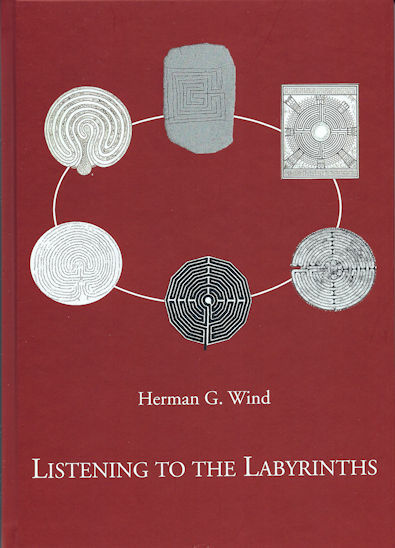 Calling it a study of the DNA of labyrinths, Herman admits to being fascinated by the subject, and his eyes light up as he talks about his ideas and theories which he hopes might be of help to all who want to deepen their understanding of the labyrinth symbol. In particular, Herman uses circuit diagrams and the tables of his labyrinth library to describe the various labyrinth designs that can be found around the world. In order to define different groups of historical labyrinth designs, he studies both their distribution and dissemination through time along with the structure of different groups of labyrinths to enable any specific design to be easily assigned to its correct family. Illustrated with numerous maps, charts, and tables, the book provides a fascinating insight into an aspect of labyrinths not frequently discussed. These studies show how particularly influential designs have been perpetuated over the centuries and demonstrate the underlying common structures of labyrinths that may otherwise look quite different due to the way they are rendered and embellished. Listening to the Labyrinth will be available directly from the author once he returns home from his travels at the end of the month. Can’t wait to read it! Thanks for letting us all know. Just got it and already had new insights! Thank you Jeff and Hermann Wind.